Spectrum Industries designs and creates products that connect people with technology. The premier manufacturer of office furniture makes highly innovative pieces that can be utilized in the education, healthcare, government, or corporate setting. We've taken the Flex Active Table and flipped it! With a simple pull, you can quickly and easily flip the table to a nesting position for easy storage. The Flex Active Flip™ Table's top flips so you can easily store the tables in a smaller space allowing you to quickly reconfigure your active learning environment or meeting room to meet the needs of any collaboration space. Help your patients and their families see the big picture with highly configurable patient consultation tables & huddle spaces. The Optio Collaboration Table, InVision Element Table™, InVision Access Nano Table, paired with a set of OM5 chairs is the perfect combination for any healthcare environment. Modernize your training rooms with new tables, chairs, and lecterns such as the Flex Active Flip™, Flex Active Table, OM5 seating and Media Manager series lecterns. Spectrum has the furniture you need for any healthcare environment. Notebooks and Tablets are crucial to keeping track of vital information in a busy nurses station. By employing Pro™ Charging Carts and Connect10™ Lockers, nurses can store and charge their notebooks or tablets during breaks to ensure patient information is kept private and they have a powered-up device when returning to the floor for rounds. Flex InSight Desks are ideal for Hospital or Clinical Administration offices. Review patient records or billing information at one of these comfortable computer desks, or join them together to create and Admin office environment. 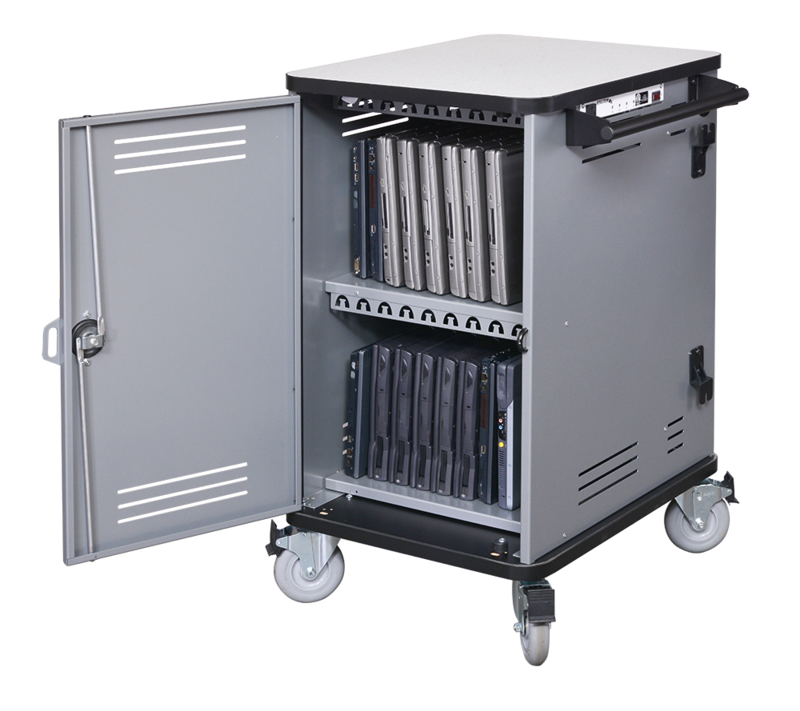 The Flex InSight Desk is flexible and can be reconfigured from a computer desk into a classroom or training desk by lowering the monitor, keyboard, and mouse and closing the lid.